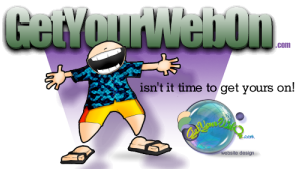 We have all read advertising from websites claiming, “We get 100,000 hits per month” and counter at the bottom of the Web site’s Home Page. Now let me tell you the difference between a “HIT” and a “VISITOR”. A “hit” is often understood by most as a visitor to the web site. This is not the case; it is a hit on the web server. A hit on the web server can be a graphic, java applet, the HTML file, and so on. In other words, when a VISITOR views a website page containing 99 images the meter registers it as 100 hits on the server (99 images and 1 HTML file). In this case, 100,000 hits are really only 1,000 visitors. Therefore, HITS are not what we want to count. We want to know how many visitors come to our sites. More importantly, we want to know which of those visitors new or unique visitors. Hit Counters track visitor page views, not unique visitors. When a person views a page, be it the first time or the fiftieth, the visitor is counted, making a Hit Counter rather useless. This is why I recommend using StatCounter to track the traffic on your site. It is a web traffic analysis program. A web traffic analysis program provides valuable information about the traffic coming to the site, including where visitors are coming from, the paths your visitors are taking and which pages are the exit points of your site. From this information, we can tell if your target area is being reached if you need to add or adjust the keywords or phrases and perhaps add, remove or edit content and URL Extensions.